Perovskites belong to the great group of the inorganic pigments and thanks to their excellent properties they have been widely used in an industry. CaTiO3, BaTiO3 and SrTiO3 with the perovskite structure were prepared in this work. These compounds were synthesized with using the solid state reaction by calcination in temperature region 1000–1200°C. The thermal analysis was used for characterization of thermal behaviour and formation of tested perovskites. 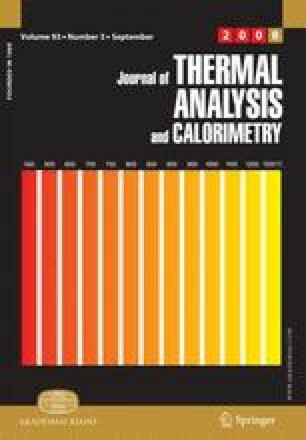 The main aim of this work was studied the influence of calcination temperature on colour properties of perovskites. Colour properties of powdered compounds and samples applied into ceramic transparent glaze P 07491 were also studied. The tested compounds can be described by different light colour hues and that depending on calcining temperature. The structures of the powdered compounds were studied by X-ray diffraction analysis.